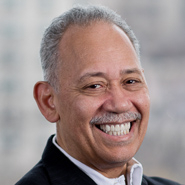 Chairman Ben Wilson (Washington, DC) was featured in a spotlight by the Washington Lawyers' Committee (WLC) for Civil Rights and Urban Affairs, a nonprofit organization established in 1968 to provide pro bono legal services to address discrimination and entrenched poverty in the Washington, DC community. Ben has been a leader with the WLC for over 30 years, twice serving as a Board Co-Chair. Ben maintains a commitment to mentoring young attorneys of color and promoting diversity and inclusion in the legal profession and has won many awards for his achievements, including the Thurgood Marshall College Fund's Legacy Award, the ABA Commission on Racial and Ethnic Diversity's Spirit of Excellence Award, and the WLC's own Wiley A. Branton Award. Regarding his support for the WLC, Ben states that "lawyers have at least two ways to give back with the goal of correcting inequities and improving society: deploying their intellect and belief in systems of justice through volunteer time to work on and lead Committee efforts, and contributing a share of the financial success they derive from their practice to the Committee so it can sustain its operations. I challenge my colleagues to give as much as they can from each of these reservoirs." “Ben Wilson represents the best of the profession. He has fought for justice and set an example for new lawyers about what it means to give back. We are immensely grateful for his leadership, his commitment, his kindness, and his generosity,” said Jonathan Smith, Executive Director of the Washington Lawyers’ Committee.